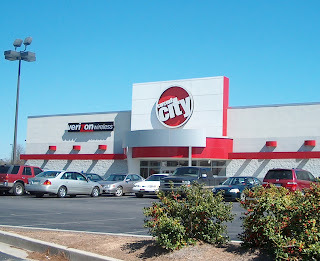 I can’t believe Circuit City is gone. The only reminder is that big red building sitting prominently in the middle of a shopping center. Truth be told, I did not venture in there a lot, but I did make some major purchases from Circuit City. I purchased my laptop and desktop and their protection plan which I never actually got to take advantage of. I guess that’s a good thing, since my computers would have had to been busted for me to cash in those plans. It seems that the impact of this major player in electronic going out of business is based more on symbolism than my actually shopping habits with the Circuit City. It is just another reminder that we are all at risk and affected by these economic down times. Whether you are lucky to have your job or unfortunate enough to have been let go, we are all impacted; some of us are hit harder than others. Some of us know to be grateful for our present circumstance even if it is not where we may want to be. At any rate, in my town, this is good news for the surrounding businesses that are selling electronics. Even with this giant out of my small town, there are still plenty of places that can facilitate price comparison and shopping around to find the best deal available.